We are a family of 6 from the UK who had the great opportunity to travel for 7 weeks, 3 in Vietnam and 4 in Indonesia, ending up in Bali with 8 nights pre booked and paid for through Hotels.com (very efficient). We arrived hoping for a last week of R&R before flying home to England and were delighted with the Mentari Sanur Hotel. 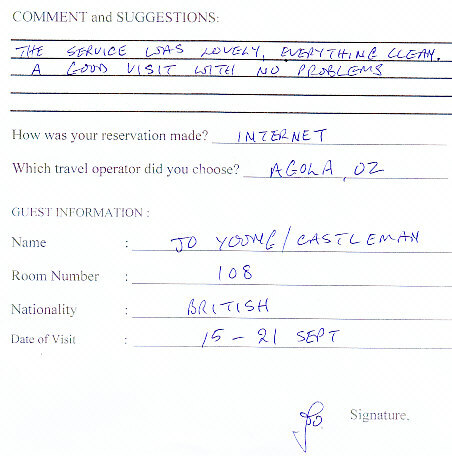 The staff were lovely, helpful and friendly, their English, especially on reception was excellent. We had 2 rooms, myself and my wife in one and our 4 children (ages 16, 14, 12 & 10) in the other (3 of them happy to share the most enormous bed we’ve ever seen. These rooms looked out across to the delightful restaurant and also to the pool. The gardens were like a mini Hanging Gardens of Babylon and it was beautifully quiet, being down a (perfectly ok) side alley. It was an easy 5 minute walk to the top end of Sanur beach but it was very easy to catch a Bemo or taxi to the southern end or Kuta. We loved this hotel and would certainly return if we had the opportunity. The Mentari Sanur was our first stop in Bali, we were only here for 2 nights as it was a last minute booking when our flights were changed (But would have definately stayed longer). It is set off the road and feels very secure. The gardens were gorgeous and the pool was the perfect size to swim a few lengths before breakfast or too cool down in the afternoons. The rooms were spacious and clean the bed was huge. It had fairly minimal decorations and furniture inside but it suited the beachy feel of the place. The breakfasts were excellent but I would recommend venturing out for dinner. Sanur is a laid back area and a great place too start your trip if your not use to itensity of the busier areas. The Mentari Sanur was a great little sactury to return to after a day exploring. Room Tip: Pool views rooms get the last of the afternoon sun and a great place to sit on your deck and have a beer. We liked Mentari Sanur. The positive aspects were the beautiful garden, a nice pool and a quiet location. There was nothing really bad but nothing really wow either. The rooms are standard but had all we needed as well as air conditioning. 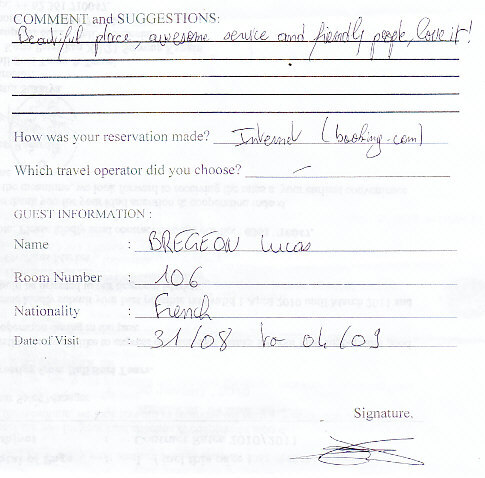 Rooms were very clean, much cleaner than we had expected after reading other reviews. 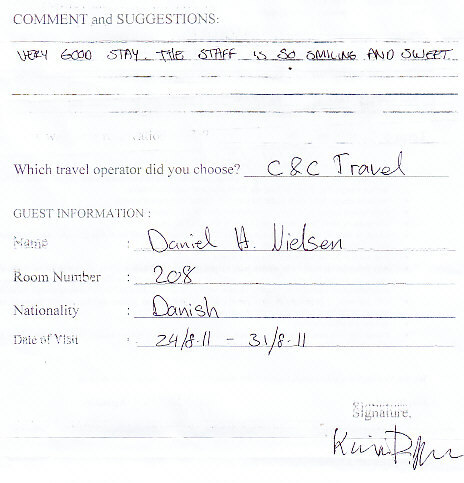 Staff were very friendly. Pool area was great, as in other reviews we did notice there weren’t many poolside chairs but this was never a problem as the pool was never too busy. Breakfast in the restaurant was good, we never tried the restaurant for other meals. Overall would recommend for a short stay. Good hotel, clean and comforteble room. We had a kingsize bed room. Pool is clean and very relaxing, no noise at all. If you walk outside to the main road, you can easily get a taxi or bemo. Also you can walk to the centre that will take you about 15 min. Beach is ok, but not great, there’s a little harbor were you can transfer to other islands, but if you walk al little bit the beach becom more and more better. 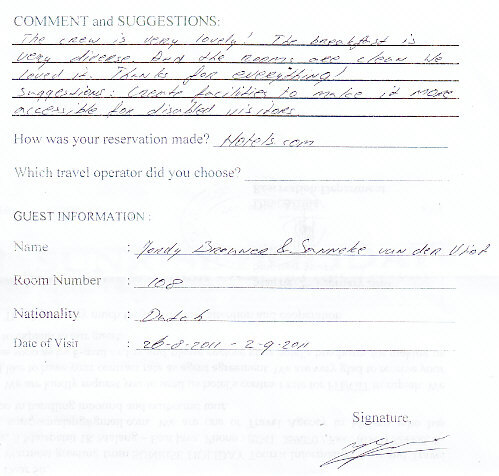 overall a great hotel, that we can recomend! !